If you haven’t returned your marching uniform, please return it during Mini Camp. Uniforms will be sent to the cleaners next week. The various sections of the Marching Band (Winds, Percussion, and Color Guard) will not meet together as a group until the start of Band Workshops on Monday, July 31st. Section leaders may call sectional rehearsals throughout the summer. 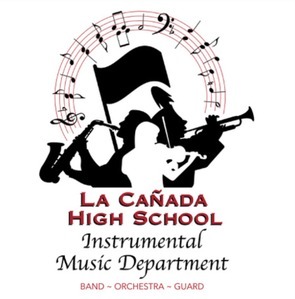 In mid-July, you will be receiving an email via Constant Contact that will have the Band Handbook and all the information you need for Registration, Band Camp, uniform fittings, Preview Night, and the fall season. If you’re not already subscribed to the Constant Contact Music Department Newsletter, you can subscribe here. Heads up! ALL Band and Guard students will have their school registration, ID, textbooks, etc. on Monday, August 7th. The day will start with the Seniors, followed by Juniors, then Sophomores, then Freshmen (Freshmen, note the day change). Mr. Stone has worked with the High School Administration to get the Freshmen registered on Monday so the Band can depart as a group to Band Camp on Tuesday, August 8th. The Ireland trip is just around the corner… Start raising funds now by purchasing Gift Cards through Scrip. The summer order deadline is July 16th. If you have any questions or need more information, please contact Sarah Bartels Nagel. … and a smile! It’ll be fun! New for 2017 — Mandarins Leadership Camp registration is now open. “Creating confident student leaders… led by experienced educators in leadership and conducting.” Camp will be held July 6-8 in Elk Grove, CA. Overnight camp and all meals are provided. FYI: Sandy will be driving up to Elk Grove at this same time — if your student is interested in attending and would like to have a ride there and back, please let her know. Is your student looking for a fun-filled week filled with music this summer? Bellis Music Camp will be held July 23rd – July 29th at Angeles Christian Camp and is open to all outgoing 6th through 8th graders — both Band and Orchestra. For more information or to apply, please visit the website. Once again, Drums Corps International will host a show at the Rose Bowl Stadium. Corps (brass, battery, front ensemble, and color guard) will perform their 2017 productions, top-notch field shows with amazing sound and sights. It really is an experience not to miss. Individual tickets can be ordered through Ticketmaster.